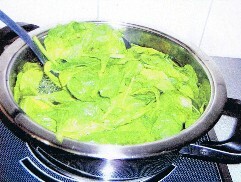 Cook spinach in water only 1-2 min. 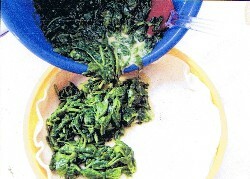 Mix eggs, cream, cheese, salt, nutmeg, ground pepper, fold spinach in and then spoon mixture into a pricked pastry. 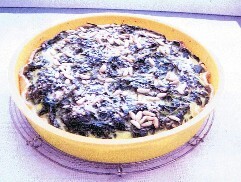 Top with some more grated cheese, sprinkle pine nuts and place in 180° C pre-heated oven for 30-40 min. 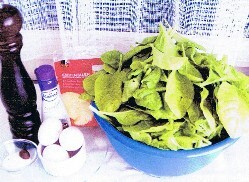 until golden brown. 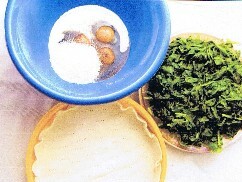 • You can use our recipe for pastry or you can buy it. 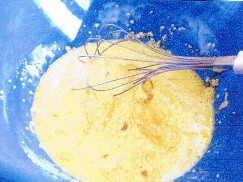 • You can spread some cheese on pastry before spooning mixture in to avoid soaking. 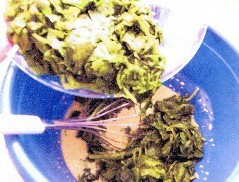 • You can add bacon bits to the mixture.